I love gorse! 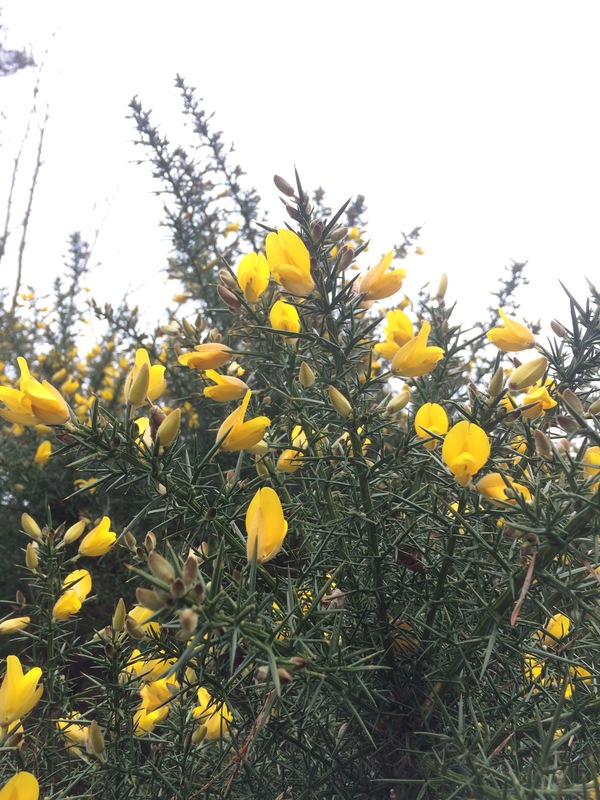 The bright yellow flowers that bloom all year round are so cheerful in the colder, greyer months of the year, providing a welcome splash of interest. This old saying is reference to the fact that gorse is never out of bloom. In summer the smell of gorse in bloom is heavenly, sweet and coconutty. At the end of a hot summer day I love to hear the gorse seed pods expoloding, little pops all around in the gorse bushes as you walk across a Heath. Gorse also provides a valuable habitat for wildlife. It’s great for invertebrates, providing a valuable source of nectar early and late in the year, thanks to its long flowering season. It also provides shelter and nesting space for a range of birds including stonechats, linnets, yellowhammers and dartford warblers. 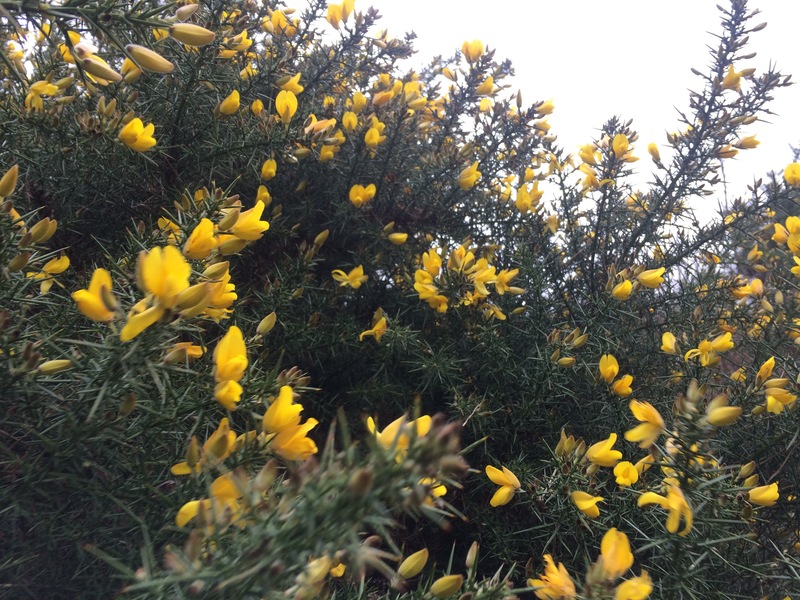 For dartford warblers gorse bushes are the key to their survival in a harsh winter. Unfortunately I do spend time cutting it down, as gorse can quickly take over and giver large areas of heathland. I end up with delightful scabby pinpricks on arms and legs where those spiky spines have got me as I’ve cut and carried them to the fire on a worksite. Compact bushes are always left behind to provide space for the birds, while opening up the Heath for other rare species. On a recent weekend volunteering with London West Middlesex National Trust Volunteers on Black Down near Haslemere in Surrey, gorse clearance was our main task. The gorse was covered in flowers, so as we cut I gathered, coming home with two ice cream tubs full (our sandwich boxes for the weekend put to good use!). 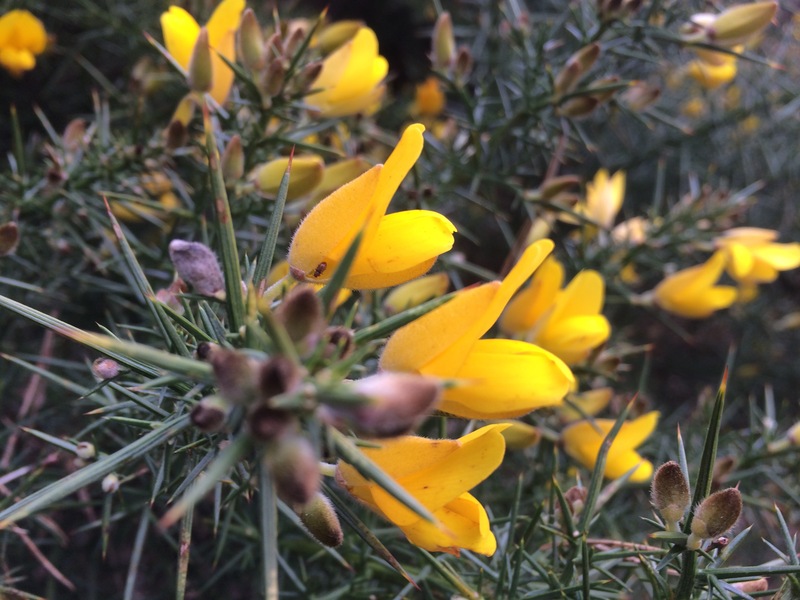 As well as being great for wildlife, gorse is good for humans too. The wood burns hot and in days gone by it was used as fuel for bread ovens. The flowers are edible and can be eaten raw, added to a salad. The young buds can be pickled and used like capers, something I intend to try. They can also be infused to make tea, or made into a syrup or cordial. This is what the boxes of flowers were made into. 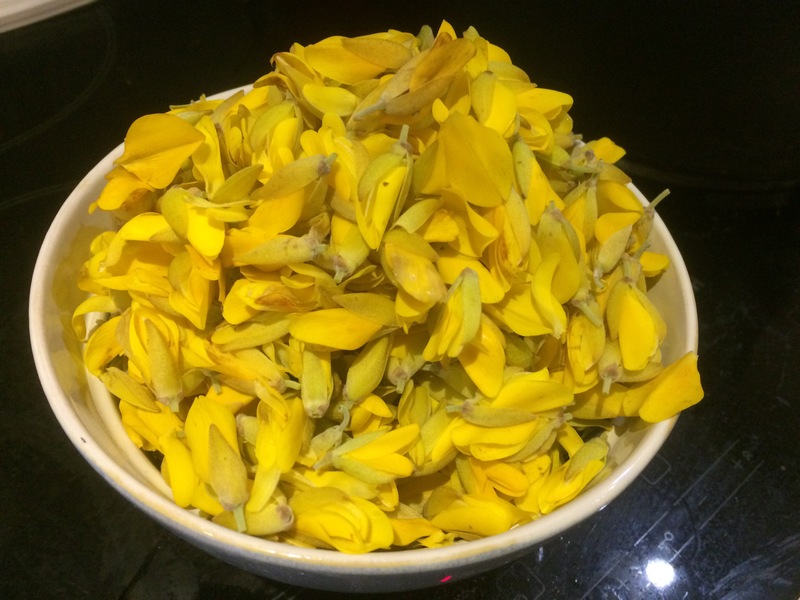 I used this recipe, making a sugar syrup and adding the gorse flowers along with lemon juice and orange zest. It made a beautiful yellow cordial. It tastes fresh and delicious, a honey like taste that’s not like anything else I’ve had before. We’ve been drinking it with tonic water, it was definitely worth a few prickles collecting the flowers. 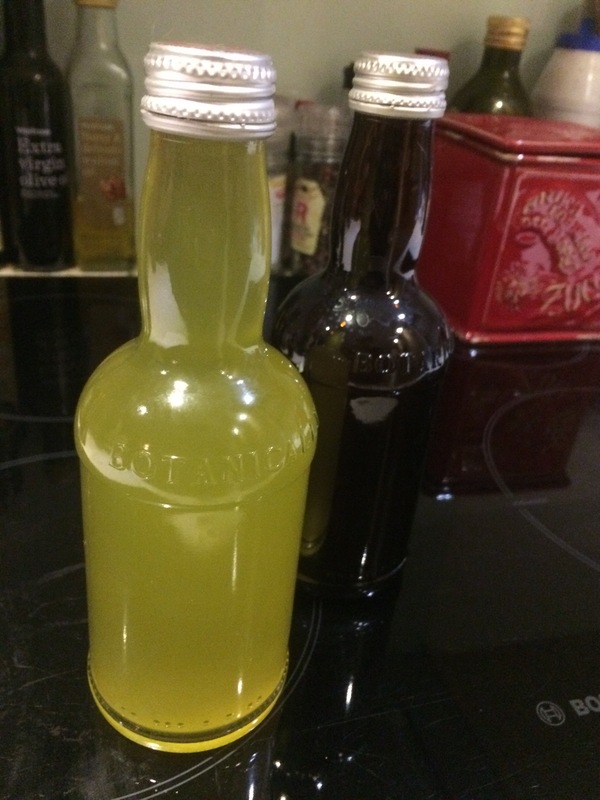 The cordial’s definitely made a great addition to our diet, I love to try new recipes and if I can do that with foraged food it’s even better. It won’t be long now before wild garlic is out, elderflowers will come in June, each month a new bounty! Have you ever made anything from foraged ingredients? I’d love to hear how you got on. I had no idea there are so many uses for gorse. They do indeed add a bright splash of colour to the countryside, whatever the season . Gorse is also rather spiky. I came away from a scramble at Ennerdale Water with scratches on my legs and I had trousers on! Great post! It really is, I still have gorse scratches decorating my legs from three weeks ago, it’s a great look! Pretty flower. Where is this flower mostly located? I don’t think I have seen this flower before. It’s very common here. I am in the south east of England. It grows in abundance on heartland. Close to home there is lots of it along road sides here in Bracknell and all along the M3 motorway.